"Please join with TC Reads as we celebrate the joy of reading and appreciate the common threads that unite us as a community by encouraging your friends to read and discuss this book, an uplifting novel about the families we create and the unique place that we call home," explains Ruth Bay, president of Friends of the Traverse Area District Library. The story of every city needs a character like Ruth Bay, a slight of a woman, always on the move and always impeccably dressed -we dare you to ask her how you can help. We have the pleasure of seeing her often in our book loving corner of the world; this last weekend while she was working at just one of Traverse Area District Library's epic book sales. Oh, we love their book sales. 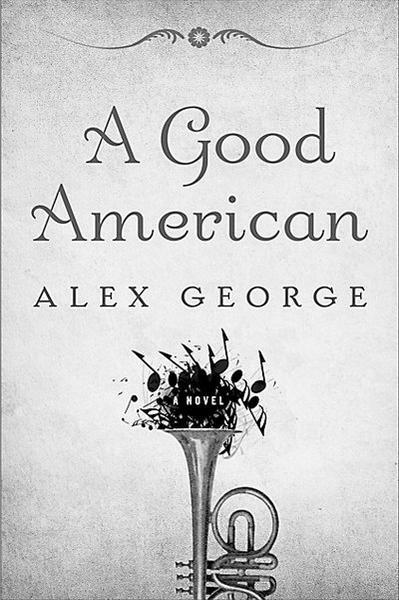 "A Good American, by Alex George, is a story of immigrant hope. Set in a fictional Midwestern town and spanning more than a century, the novel tells the story of three generations of the Meisenheimer family. Beginning with an improbable love affair ignited by the power of song, the story follows an unorthodox young couple as they flee to America in search of a new life together. Their new home, Beatrice, Missouri, is filled with unforgettable characters: a jazz trumpeter from the Big Easy who cooks a mean gumbo, a teenage boy trapped in the body of a giant, a pretty schoolteacher who teaches more than just music, a minister who believes he has witnessed the second coming of Christ, and a malevolent, bicycle-riding dwarf. From bare-knuckle prizefighting and Prohibition to sweet barbershop harmonies and the Kennedy assassination, and beyond, the family is caught up in the sweep of history. Each new generation discovers afresh what it means to be an American, and in the process they sometimes finds out more about themselves than they had bargained for. Listen to what NPR had to say: read and listen. Learn about it on Good Reads, with a click. Find a copy at a library near you: start here. Read more from the Traverse City Record Eagle, here. 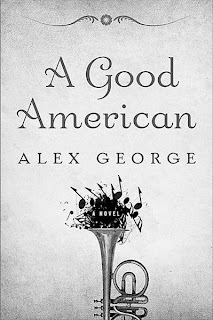 Begin with an excerpt on Alex George's website, to enjoy just click here. We look forward to hearing what everyone thinks of this year's TC Reads! Enjoy! My favorite TC Reads books was Life of Pi ==didn't really like the movie, not nearly as much as the book!